Are you tired of watching PSY Gangnam style video? Do enjoy its malayalam version 'Anna Kinnam Style' which is creating waves in Youtube. If Ganganam style had entered Guinness Book of World Records recording more than 7.75 Crore views in You Tube, 'Anna Kinnam Style' has got more than 60,000 views in less than an month. A combined effort of singers Nithin Raj and Unnikrishnan, 'Anna Kinnam Style' is worth enjoyable. Can anyone remember how many times you have watched Park Jae-sang's (PSY) Gangnam style on YouTube or on Television? Anyway, the song had created ripples around the globe hitting 7.75 Crore views in You Tube. A week ago the South Korean pop artist PSY who sang the song had received a gift from the Guinness Book authorities for going viral in You Tube. The single sing from PSY is raving like wild fire adding more viewers on to its side. The song became popular due its peppy beats and PSY's amusing dance moves in the music video. PSY had become an international sensation with his sole album 'Ganganam Style' which became an inspiration for many to walk through the path bringing videos in various versions. Knowing the pulse and interest of the malayali audience, singers Nithin Raj and Unnikrishnan have come up with 'Anna Kinnam Style' a song which is ripped from its original song. Do remember the waves created by Why this Kolaveri Di sung by Dhanush clocking 6.4 Crore views followed by a number of parody versions including Why this Kolaveri Di in malayalam and Why this Moottakadi getting 5.37 and 3.4 lakh views respectively. 'Anna Kinnam Style' will be the next added to the line of viral videos which already had recorded more than 60,000 views in less than a month of going live of You Tube. The song is rendered by Nithin Raj and Unnikrishnan. Nithinraj know for lending his voice for a couple of movies, well known for his vocal in various stages including finalist of SS Music Voice Hunt (2004), Asianet Star Singer (2007) and a couple more television shows. Nithin Raj who had enthralled the audience with his majestic voice had done harmonies for A R Rehman for Raavan and Endhiran. On the other hand Unnikrishnan stayed as a composer for various projects including Asianet Vodafone Comedy Stars, Neelambari in Jaihind and been a part of musical presentation featured in Victors Channel. The thick bond between Nithin Raj and Unnikrishnan started years back while studying at Mar Ivanios College Thiruvanthapuram which landed them in various projects. Out of passion and keeping love towards the original version sung by Korean Pop King PSY, Nithin and Unnikrishnan joined hands for 'Anna Kinnam Style' supported by Rachin while the camera was zoomed by Raveesh Kaipillil and Chandra Mouli. The single Anna Kinnam was released in You Tube under the Kolambi Records banner. Keeping an eye on the music lovers, Nithin and Unnikrishnan plans to create a unique platform adding more to music moving away from the typical trends. After their previous projects Pattupoochikal and Kerala Vandanam, the team is on the move with 'Azarmulla' composed by Unnikirshnan and voice rendered by Nithinraj and Gayathri. It is much encouraging seeing more youngsters coming forward passionate towards music to establish their own space. Meanwhile do enjoy their creation 'Anna Kinnam Style'. Oru Kutty Chodyam Malayalam movie review is given here. An awesome short film directed by Ganesh Raj. Read to know more about the dynamics of the film. The movie is all about a 5 year old boy who excels in finding the answers to his own questions. A brief statistics on crew members and castings involved along with the ratings of the movie is given here. Balcony, a short film will be the directorial venture of Vishnu Udhayan who gathered rave responses for his former one realer 'Anuraagathin Thiramaala'. Being a literature student at St.Thomas College Chennai, Vishnu keep a passion for writing, playing keyboard and short film making. Believe us, Vishnu is a facebook potato. He shares with us his dreams about upcoming short film 'Balcony', flavoured with comedy. Oru Kutty Chodyam, a short film directed by Ganesh Raj revolves around a tale of a 5 year old boy who wanders in search for answers for few questions which had been spinning for a long period in his mind. Already the trailer of the short film is getting wide response from the audience. Gautham, Achyuth, Dr. Rone David, Aparna Nair, Aju Varghese, Ramakrishnan and Rajeshwari will donning the major roles in this short film. Read more to know abou Oru Kutty Chodyam. Anuraagathin Thiramaala is an 8 minute length short film directed by Vishnu Udayan. After getting a high note for his first venture "Oru Phone Call", Vishnu is back in business with yet another theme which focuses on the healthy relationship between 2 teenagers. 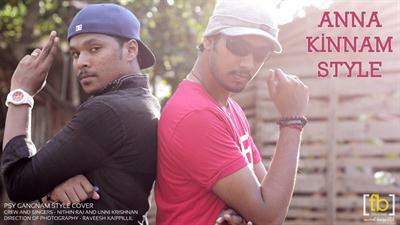 The trailer of Anuragathin Thiramaala is out and will get an official released via You Tube on 16th November 2012. Into the Light is a short film directed by Shahad Marakkar which focuses on real life situations. Into the Light is a comparison between the attitude of human being and animals. Produced by Kaali Kuppy under the banner of Sha and Sha, this mini movie will feature Vijayan Karanthur, Saj Mohan, Rameez Anwar in lead roles. The trailer is already out while the full film will be released on You Tube in November itself. Read more about Into the Light which truly carries a message for the society.